Welcome to the SB Fitness video library. Yo Sean! Should I do Crunches? Yo Sean! Why should eat organic food? If you are looking to boost your health through better nutrition and fitness then we can help. Get in touch with our team and we will help to match you to the perfect plan to suit your goal and budget. Yo Sean! What should I eat after training? Sean answers your burning health and fitness questions. Yo Sean! What is HIIT Training and how can it help me? Yo Sean! Should I exercise when I'm mentally stressed? Is exercise the antidote to stress of should you avoid the gym if you have had a stressful day? Sean talks you through the dos and don'ts of exercising when you are stressed. If you would like any further advice on how to combat stress through exercise and how to plan your training routine to meet your goals - get in touch and we will be happy to help. 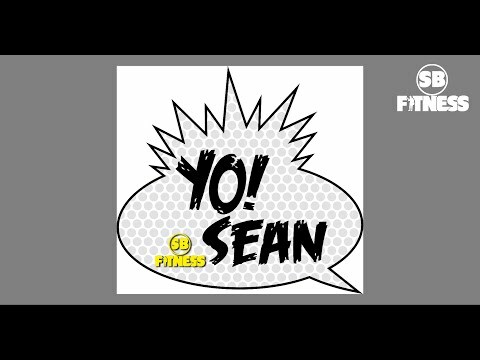 Yo Sean! Should I be choosing low fat products at the supermarket? Yo Sean! Is cardio or weight training better for fat loss? Yo Sean! I'm exercising and eating well but I'm not losing any weight? Sean answers your burning health and fitness questions. If you have hit a plateau and despite your best efforts of exercising and eating you are stuck at the same weight Sean can help to out you on the right track. This is a complex question and the right answer will depend on your personal circumstances. If you would like one of our team to work with you on a personalised fitness and nutrition programme to ensure you reach your goals get in touch!